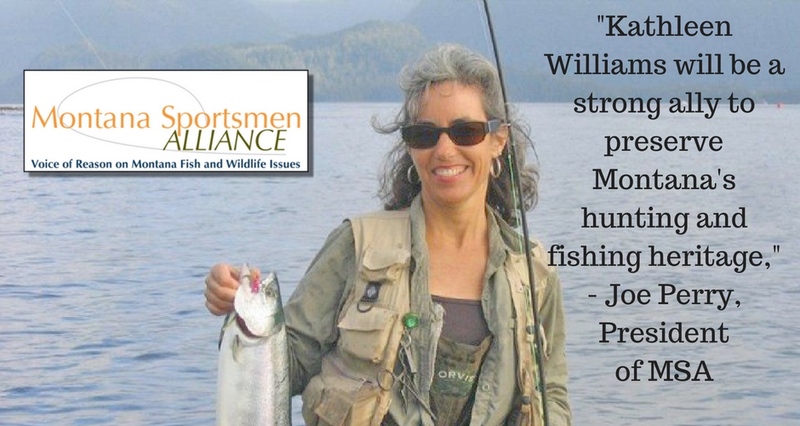 BOZEMAN, MT - The Montana Sportsmen Alliance (MSA) announced today its endorsement of Kathleen Williams for the U.S. House of Representatives. Citing her support of access to public lands, streams, and rivers as well as opposition to the transfer or sell-off of public lands, MSA said the choice to endorse Williams was clear. "Kathleen Williams will be a strong ally to preserve Montana's hunting and fishing heritage," said Joe Perry, President of MSA from Brady. "Future generations are relying on what we do today and Kathleen won't back down from the special interests threatening our outdoor way of life." "I have a proven record of working to protect our public lands while reaching out to private landowners to find real solutions," said Williams. "With the help of Montana Sportsmen Alliance, I'll work hard to protect our hunting and fishing heritage not only because it's the right thing to do, but because I'm a hunter, too." 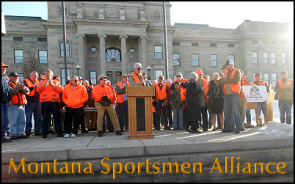 The Montana Sportsmen Alliance is comprised of Montana hunting, angling, and conservation minded individuals who are committed to insuring the effective representation of rank and file sportsmen in public policy matters. The Alliance works to continue the core values of public ownership of public wildlife, and public access to public resources. MSA works with public officials and agency personnel to promote sound stewardship of natural resources and to preserve Montana’s hunting and fishing heritage.